Construction Repair NYC is one of the leading professional roofing contractors New York that have extensive experience in working for different types of roof installation, repair, and replacement of both commercial and residential premises. We work with an expert team and we are completely conversant with the roofing laws of New York, Brooklyn, Manhattan, Bronx, Queens, and surrounding areas. Our roofing job is guaranteed and we use the best quality roofing material so that you get the best value for your investment. Shingle roof repairing is not everybody’s forte. 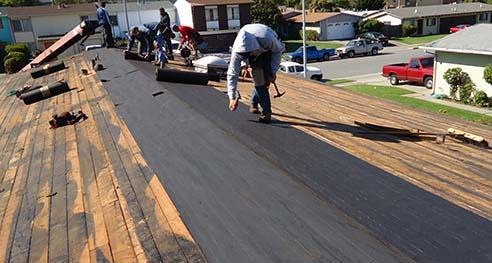 Construction Repair NYC is recognized as one of the best roofers with Shingle roof repair NY expertise. We are professionally skilled in repairing cracked or slipped shingles. We also provide our service for repairing missing or water damaged shingles in a way that becomes completely leak-proof, aesthetically beautiful, energy efficient and durable according to its existing condition. We offer 24×7 online supports for helping you in restoring your shingle roof! As one of the well-known flat roof contractors New York, Bronx, and Queens area, Construction Repair NYC offers professional services in repair, installation, and replacement services for mending all types of flat roofs. The company offers guaranteed work and free quote for the proposed job after onsite inspection. We use best roofing materials so that your roof offers best service life after repair. At Construction Repair NYC we offer professional support for servicing all types of slate roofs: our service range includes repair, replacement, remodeling of all types of slates. We offer emergency repair and replacement services for both commercial and residential premises. We offer our repair service on- call and we are completely insured, which is an addition benefit for the clients. Cold roof repair support is one of the expertise we offer in our service range. Our team is made of professionally qualified roofers who are well aware of the pros and cons of cold roof repair jobs. We completely understand the emergency need of cold roof repair NYC service call; hence we act as super responsive and offer emergency assistance to solve the crisis. We are covered with liability insurance and that is a big benefit, and we never compromise in roofing materials to be used in our roofing restoration process.